Tri-State event on February 2,2019, at Steinway Billiards 3525 Steinway Street, Astoria, Queens, NY. Matt Klein undefeated in Tri-State at Steinway Billiardsards, Astoria (Queens), NY). 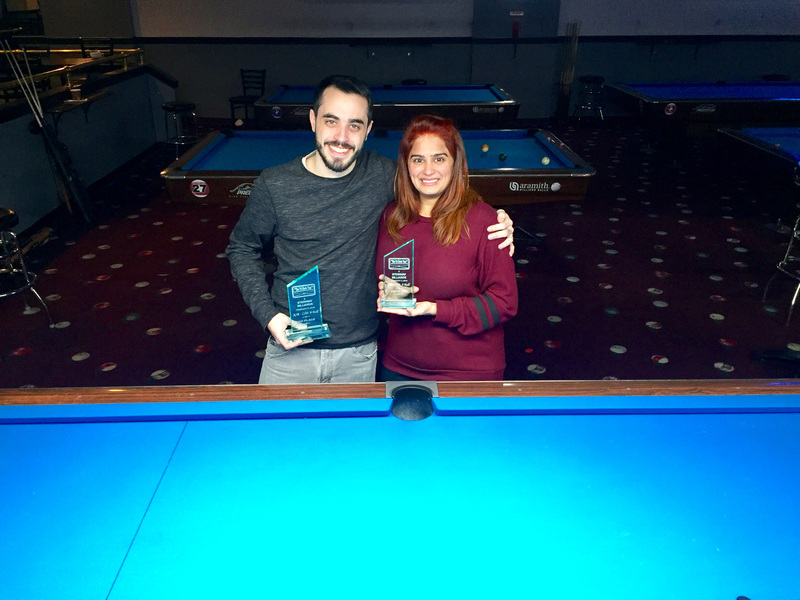 Matt’s tournament trail included wins over Bob Toomey 7 – 5; Ilija Tracjeski 7 – 3; Terry Mohabir 7 – 3 ; Jowen Pichardo 7 – 4; Shweta Zaveri 8 – 4 ; and Shivam Gupta 8 – 4 for the Hot Seat. During this time Shweta worked her way through the loss side.with wins over Andrew Cicoria 6 – 2; Ryan Dayrit 6 – 5 an Shivam Gupta 9 – 8 to reach the Finals. Due to the late hours, both Matt Klein and Shweta Zaveri decide to call it a night with Matt taking the well deserved win. 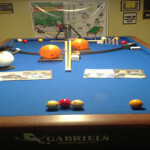 The next Tri-State event will be on February 10 at Shooters Family Billiards in Wayne, NJ. Please provide a thank you to Ozone Billiards, Sterling-Gaming, Kamui Tips, Phil Capelle, BlueBook Publishing, Human Kinetics , Pool & Billiards, Professor Q Ball,Bender Cues, DIGICUE OB , and Hustlin USA for their sponsorship leading to this event.